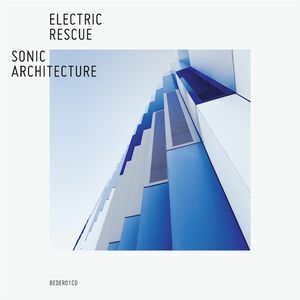 Electric Rescue releases his debut full-length, Sonic Architecture, via John Digweed‘s Bedrock Records. The producer born Antoine Husson has carved out a spot at the center of French techno over the past decade. He’s found a supporter in Laurent Garnier and a steady DJ outlet through his own Play parties, gigs across Europe and a Rex Club residency. This first album comes on the back of well over a dozen EPs for labels like Traum Schallplatten and Cocoon. Not surprisingly, Sonic Architecture spans the range of styles Husson is known for, from more functional dance-floor fare to his own brand of experimental electronica.